Finally – The Land of Far Beyond! In the last hours of the last month of the last year, two figures limped across the Mexican border into Puerto Palomas. It has been an awesome adventure, the likes of which Jake and Liam probably won’t see again. To think that the trip is over is unthinkable. To think that this is Mexico is absurd. 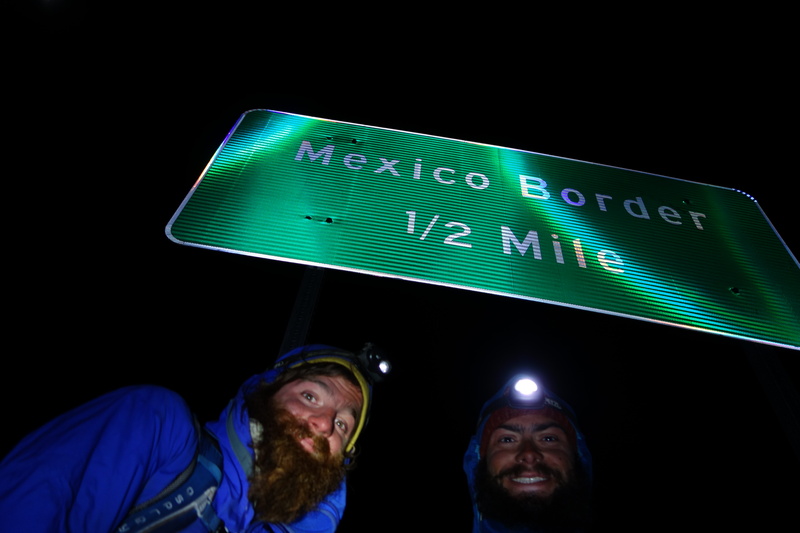 To think that we walked 5400 kilometers over 252 days to get here is outrageous. We have no idea how life off the trail will be. As Frodo said (more or less), “How does one pick up the threads of an old life? How do you go on, when in your heart you realize there is no going back. There are some adventures that go too deep that have taken hold.” I guess we will just have to see what happens. Thanks everyone for all the well wishes and the support! It’s amazing how many people have been interested in our story and have sent us kind words! I hope you all find adventures of your own – whatever they may be! 1/2 mile! OMG OMG OMG OMG OMG! The Mexican border guards. We did it. We are here. So surreal. The guards all took selfies with us. Neato! 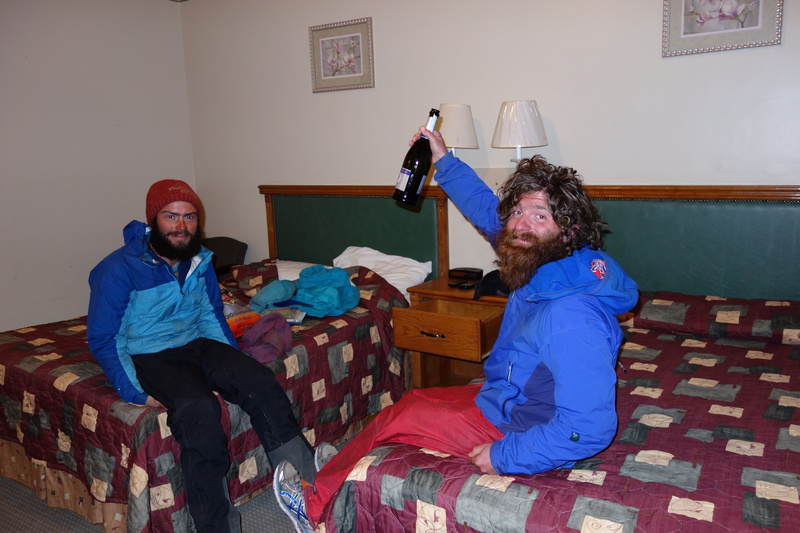 Celebrating in the hotel room. We bought the best champagne Walmart had (which was 10 bucks) to celebrate! The only thing open was a gas station. So our celebratory meal was a can of tuna…not quite what we dreamed of for 8 months…Oh well. At least we had the bubbly! 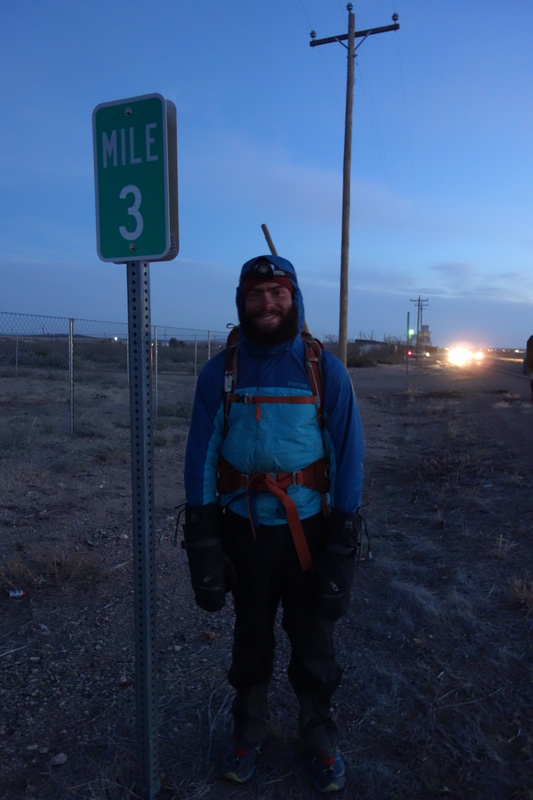 This entry was tagged Border Town, Columbus, Continental Divide Trail, New Mexico, Puerto Palomas. Bookmark the permalink. Congratulations you two! What a feat, you must be so proud of yourselves. We have been following you on the blog and enjoying your updates. You just walked in? Mile 0 was not guarded by Orcs? Relieved the all watching eye allowed the fellowship of Jake and Liam to pass. Just beginning to wonder where you were when all 5 reports popped up on email. CONGRATULATIONS! 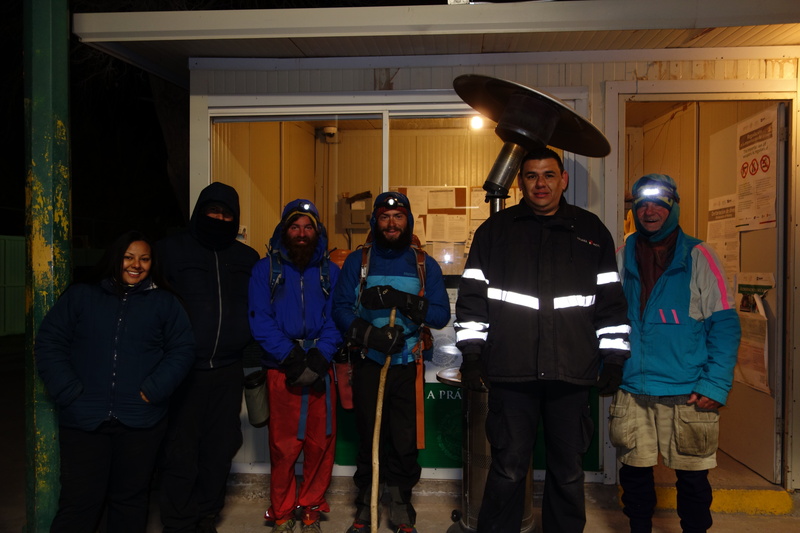 What an incredible trip – a milestone of your lives measuring over 5000 km. Can’t wait to hear about it all when you get back to Jasper. Congratulations – what a wonderful achievement. What will you do with your time now! What an awesome place the Gila Wilderness looked. Congratulations! Thank you for sharing your most excellent adventure with us. Unfortunately just found your blog about a week ago. But I’ve enjoyed it immensely reading about your travels. Congratulations to both of you! Feel free to give me a call if you get to El Paso or Las Cruces or need any assistance. I just got back from Holland and am here for the rest of the semester.